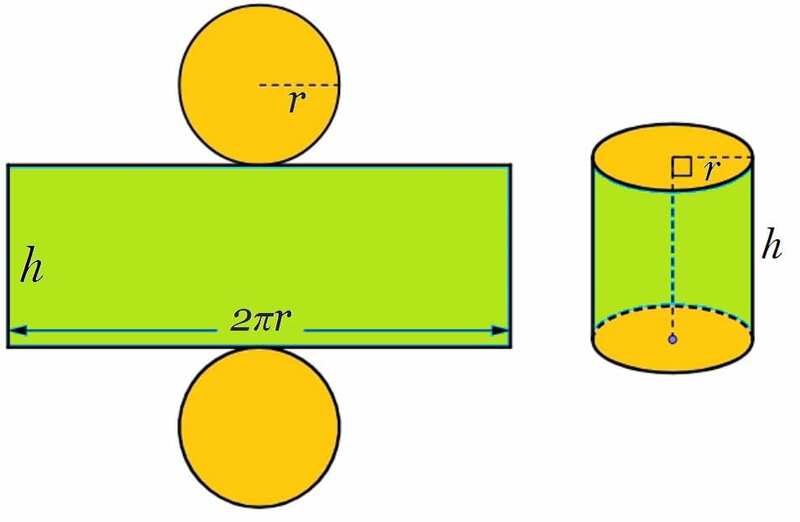 A cylinder is a closed solid that has two parallel (circular) bases connected by a curved surface. 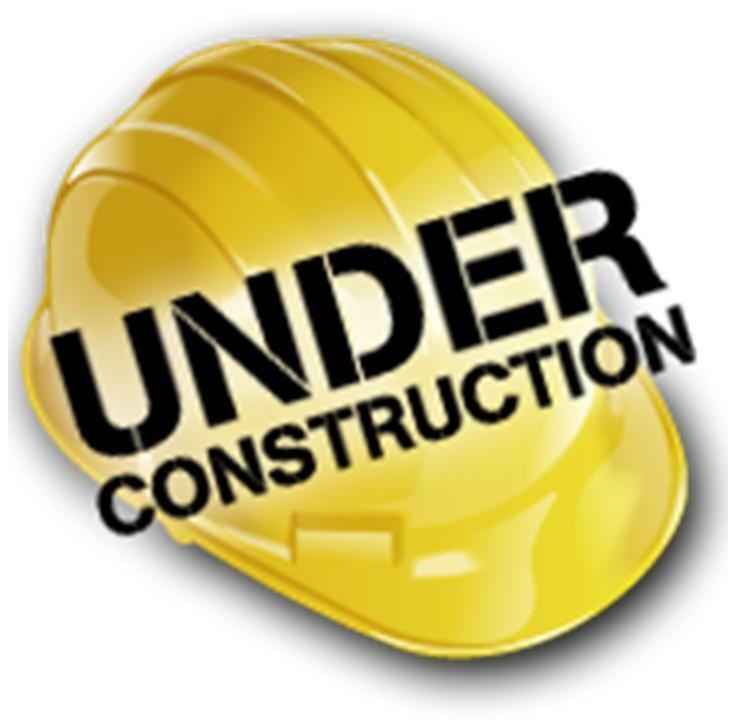 The height h is the perpendicular distance between the bases. r of a cylinder is the radius of a base. The volume V of a cylinder with radius r is the area of the base B times the height h.
The surface area of a cylinder is the number of square units it takes to cover all the surface of a cylinder. If you unroll a cylinder, its net is two circles and a parallelogram. The area of each circle is π r². 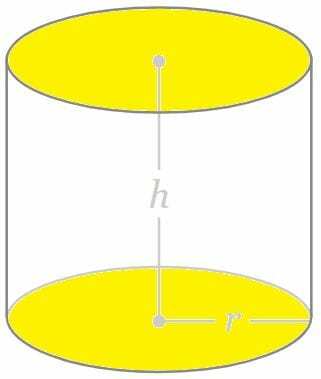 The surface area of a cylinder with height h and radius r is the area of the two bases plus the area of the curved surface (parallelogram). 2 π r is the perimeter (circumference of the circle), and h the height of the cylinder.